Tiny toes tiptoeing their way into the small of my back. Little fingers winding their way into my tied hair. A sweet and hot flush of breath on the nape of my neck which turns into a deep yawn. "I love you mama" he says in his sleep. Gentle snores and flickering lids hypnotise me closer to my own slumber, as I watch him dream. I squash into the plushy blue hedgehog who shares our space each night and I sigh, tired and weary from a great, yet hard, day. There are days I long for his bedtime. There are points where I reach my absolute limits. But each time it's my turn to roll my bones to bed I can't help but feel so full of love. Those tiny toes instinctively reach for my back again. His fingers, spreading out to find a lock of mine to twirl, and once more, I'm at peace. My mum is pretty much my best friend. We speak every day and talk about practically everything in each other's lives. She's still my mum first and foremost though and she still, with me approaching 36 years old, tells me off. The thing she tells me off most for is overdoing it, pushing myself physically more than I should and as much as it frustrates me, I totally understand why she does it. I'm exactly the same with my own boys (and get glared at regularly for it!). The second biggest thing she tells me off for is for putting pressure on myself to always do more, be more, achieve more. This may sound like she's trying to stop me reaching my full potential but really it's the exact opposite. I have this thing, this feeling, that has followed me through life. I've always wanted to please people and do the very best for them. It makes me SO happy to see others enjoying themselves, feeling loved and special. doing amazing things, having fantastic and unique experiences. When I had my children and found the love of my life, this feeling intensified and it became really destructive for me. During my firstborn's early years I had just enough money to get by but was in a pretty dire financial mess. I was in a flat I hated because of my external surroundings (noise, drugs, violence, infestation etc) and I had no spare money, no real nearby friends or any other means for fun activities, trips out or treats - physically I was already starting to struggle with pain and severe fatigue which made everything feel ten times harder. Every half term and summer holiday became a nightmare for me as alongside the sheer joy of having my son home with me (I've never been one to wish the holidays away due to stress, the total opposite!) I was constantly thinking and worrying that I was failing him as I couldn't give him the experiences and things I wanted to. I'd get angry, self-destructive, frustrated and upset and here's where my mum would step in and tell me off. She'd tell me it's the little things that matter. She'd tell me the love and support of a mum like me would be enough for my son. That being responsive to my son's emotional needs and being a good role model for him to look towards would be the making of him. That the games we could play for free, the local parks we could visit, the trips to the shops, fort building and silliness would fill his heart more than fancy trips out, holidays and dining out could do alone. I had no real choice but to accept this. I can't deny the fact that It was still a destructive feeling for me even after chatting with my mum and knowing deep down she was right from an emotional and logical point of view... we all know that money can't buy happiness... that our possessions aren't our life... but it's also fact that these things do make life a little easier and a little more fun. My financial situation improved a little and along with that, so did my living situation. I had my second son, during the pregnancy and considerably afterwards I became quite ill. The story is spread through other health-related posts in here if you'd like to read back but to cut a long story short, my body broke down on me with hormonal/immune issues and physically through muscles and joints. I was diagnosed with some life-changing stuff and by the time my youngest son was 3 I'd been referred to NHS Wheelchair Services for an electronic power wheelchair to avoid back surgery and further crippling injury. Those feelings of anger, despair and self-loathing came back stronger than ever. 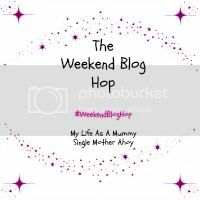 I felt a failure for having two children and instead of worrying about holiday activities and days out that I couldn't afford or get to, I was now facing an inability to do basic things like being unable to walk to the shops with them. To bathe them and carry them into bed. To walk into the kitchen to get them a drink or make them dinner. At my worst, my kids dress me into my underwear, trousers and shoes. I felt so strongly that I was letting them down so much in SO many ways, it was devastating to be inside my own head at that point. Around 18 months ago was my lowest ebb. My mum was there again, to tell me off. This time, I listened harder and stronger than any other time before. I realised at that point, I don't have to be, nor did I want to be, a supermum. I was forever striving for the things I longed to give my family but in doing so I became less of a person for them as it was so destructive to my mental health. It was never about not being able to give my eldest the things I wanted to give and experience with him. It was about my own negativity and pressures inside my own head. I wanted to be a positive mum. I wanted to be a resourceful mum and a realistic mum. I wanted to be a gentle mum and a happy mum, responsive to my children's needs and truly happy within myself. Approachable about anything and able to make mistakes yet move through them, without hanging on to so much self-hatred. Being able to have bad days and feel low but come out of it stronger or wiser. I learned that it really is those little things that matter. Letting go. Less pressure. Less negativity. Loving ourselves, so we can love others. Mindfulness. Peace. Yeah yeah, I'm a big hippy. I'll always be thankful for my mum telling me off, as without her gentle nudgings and words of advice from her own experiences and feelings, I think I'd still to this day be in a more destructive and less happy place than I am now. I also know I have more telling off's to come in the future as no matter how much I aim to be a zen-like positive person, there are inevitably gonna be issues y'all. I hope if you're feeling how I've felt in the past, that you can too find a balance and pile up all those little things on one side of the scale to at least balance or over-tip the self-destructive sides to get you into a healthier and happier mindset.